A great girly fashion pack. 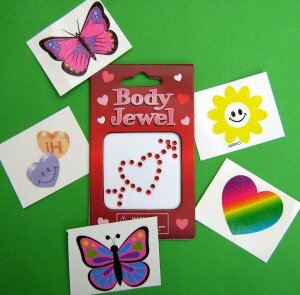 A selection of various body jewels and girly tattoos, collected together for a fun pack. 1 pack of body jewels and 5 tattoos in each pack. Ideal for party bags or small gifts which are easy to post - all at a great little price. Special Value Price - only 99p.